Hey there, today we’re going to be taking a look at the Skagen watch brand, also known as Skagen Denmark watches. Are Skagen watches any good? Are they suitable watches for you? And do they offer value for money? These are just a view of the things we’re going to be covering in today’s article. To start things off we’ll be looking at the history of the Skagen watch brand before taking a look at 10 of our most recommended Skagen watches for men and women. By the end of our Skagen watches review, you’ll have everything you need to make the right decision on which watch is best for you. Created by Henrik and Charlotte Jorst in 1989 Skagen watches has grown to become one of the major established fashion watch brands. Having moved from Denmark to the US in 1986 after Henrik became a U.S sales manager for Carlsberg, the couple made the decision to establish their own business. This involved selling gift watches in the beginning before moving on to their own brand, and this is where Skagen watches began. To get things started they needed to find a watch manufacturer who was able to supply products at a lower price than the US manufacturers could. They made the move to a Hong Kong factory that was run by Comtech Watches. With the manufacturer in place, the couple began designing their first watches. They showcased these at a trade fair in 1991. They were very successful in their first year, by 1992 they had generated sales revenue of $800,000. Within the next 6 years, they were actually topping $30 million. This sort of growth doesn’t go unnoticed. The company entered markets in Asia, the Middle East and Europe. The Fossil Group eventually made the decision to purchase Skagen in 2012 for $225 million and 150,000 shares of Fossil common stock. These days Skagen is operated as a wholly-owned subsidiary of The Fossil Group. 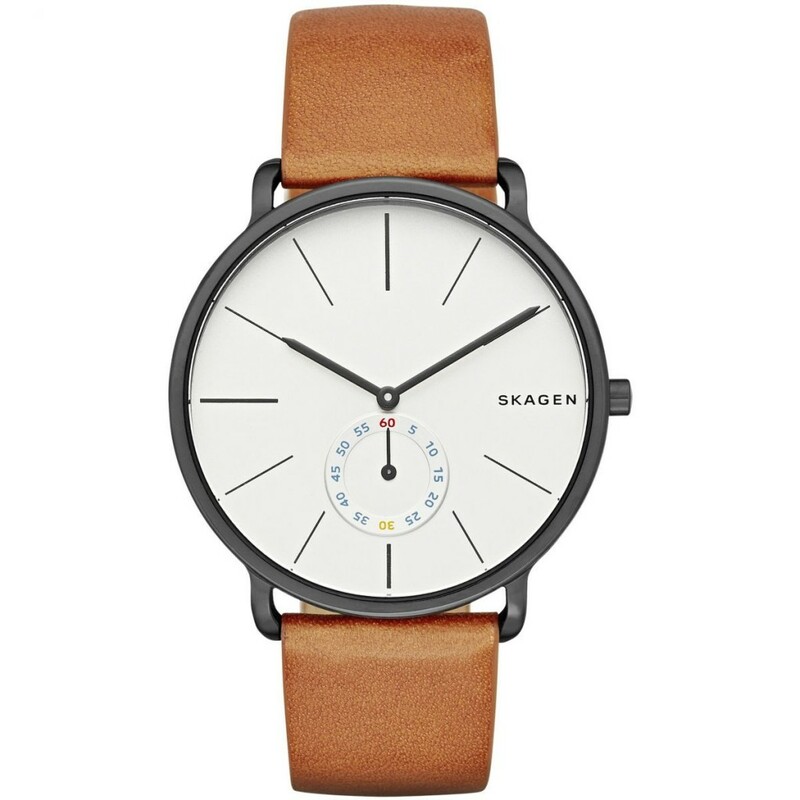 You’d be forgiven for thinking Skagen watches were made in Denmark. Although the Jorsts were both from Denmark and the Skagen brand is even named after the fishing village and peninsula of the same name, Skagen watches have never actually been produced in Denmark. Denmark and Danish minimalism do factor into a lot of the design, however. Skagen watches were made in Hong Kong in the past with their various components sourced all over the world. Once Skagen became a part of The Fossil Group many of the Skagen timepieces began being assembled in factories that the Fossil Group owned or licensed. This means most of the watches are assembled in China, but quality parts like the Miyota movements are imported from Japan. Skagen does have a small range of watches with Swiss movements as well. A lot of people really want to know what the quality of Skagen watches is like. Luckily within my collection of over 50 watches, I actually have a couple so I have some first-hand experience with them. Personally, I’ve been really pleased with the two affordable Skagen watches I went for. I wanted that minimalistic Danish design but didn’t want to pay a fortune, so Skagen was ideal for me. When it comes to overall quality we have to make sure we’re comparing apples to apples when it comes to price. There would be no point comparing a £100 Skagen watch to a £1000 luxury watch. I really do think when it comes down to it, Skagen does offer good value for money. 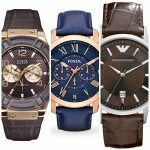 Their watches are well built with good quality materials by a reputable company, The Fossil Group. This is the same company responsible for watches under license such as DKNY, Armani, Diesel, Michael Kors and of course Fossil. The Skagen brand has won multiple Red Dot awards in the past for design. They have a huge range of stylish affordable watches available with is the key driving force behind the success of the brand, affordable quality and stylish timepieces. Many Skagen watches do tend to be slimmer than other brands, this is because of the minimalistic design that many of their timepieces go for. This slimmer build often means the watches are lighter in weight than alternative brands, don’t mistake this for a lesser quality though. How Much Do Skagen Watches Cost? Your average Skagen watch with a Japanese Miyota quartz movement will usually set you back anywhere between £80-£250 or so. 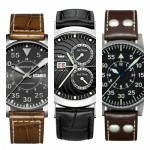 They remain a primarily affordable watch brand offering a huge selection of styles to the masses. I tend to stick to buying my own watches online, this is because they’re often much cheaper than department stores etc. If you’re simply looking for something that will look great on your wrist that doesn’t cost the world, then Skagen watches are perfect for you. They don’t have the more expensive features found in Swiss timepieces, and they also avoid the highest grade parts and movements that often put the prices of watches up. This is what keeps Skagen affordable though, and for many, that’s a worthwhile trade. What are your thoughts on the Skagen watch brand? Make sure to leave your comments at the end and let us, and the community know. To finish off our Skagen watches review I wanted to showcase some of the most popular Skagen watches currently available. 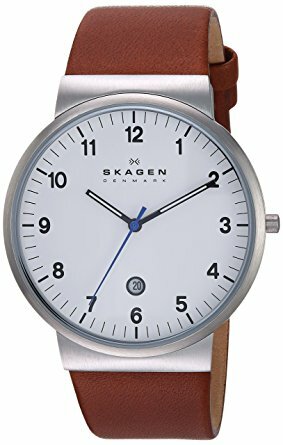 I’ll be showing some of the top men’s Skagen watches first, before ending things with the best Skagen watches for women. As always, leave us your feedback on your personal favourites, over time we like to keep the list updated and looking fresh. 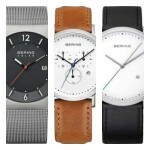 Below I’ve featured 5 of the top Skagen watches for men. 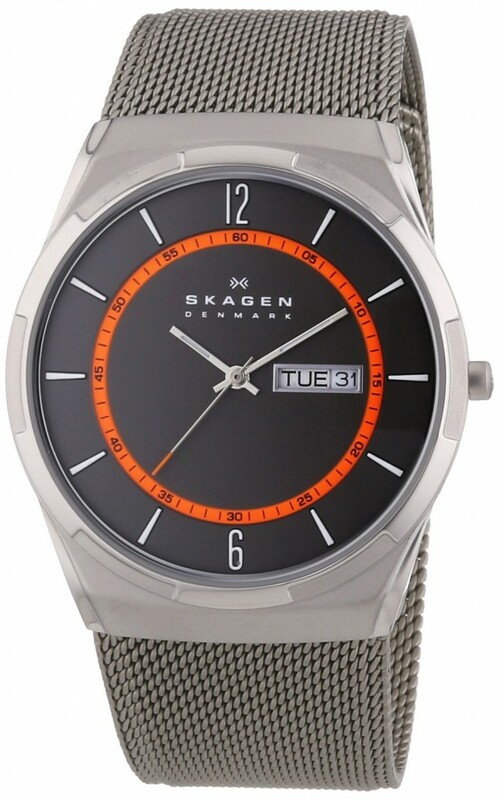 First up in our list of the best Skagen watches is this popular titanium Skagen watch. Titanium is lighter yet stronger than stainless steel so it’s seen as a premium material for use in watches. This model is built with a 40mm titanium casing with a combination of a matte and polished finish. The thickness of the casing is just 8mm making it quite a slim timepiece. The dial has a smoked grey finish that featured chromed indexes with Arabic style numerals at the 6 and 12 markers. Slim chromed hands with a coating of lume have been used in combination with a day and date display on the dial. Protecting this is a mineral crystal glass. Powering this men’s Skagen watch is a reliable quartz movement. It also comes with a 50m water resistance rating which is suitable for most day to day use. Up next in this list from our Skagen watch review is the Skagen SKW6082. I love the design of this model with its bold, black numerals that stand out clearly against the white finish of the dial. It’s built with a 40mm stainless steel casing with a thickness of 13mm. This has been paired up with a soft genuine leather strap that fastens with a buckle clasp. The dial features a small date display at the 6 o’clock position. This is a typical and popular design choice in many minimalistic watches. I also rather like the use of the blue finish of the second’s hand. Note that the minute and hour hand also have a coating of lume for better visibility in dim lit conditions. At the heart of this men’s Skagen timepiece is a Japanese quartz Miyota movement for reliable and accurate timekeeping. It also comes with a basic 30m water resistance rating, nothing to get too excited about. This is one of my favourite minimalistic Skagen watches. I love the use of the secondary subdial to display the seconds portion of the timepiece. If you like minimalistic watches then this is surely going to be your type of watch. They’ve used slim, simple hour markers that manage to stand out firmly against the white background of the dial, another feature I like the design of. Built with a 40mm stainless steel casing that has a thickness of 8mm this men’s Skagen watch has been paired nicely with a soft genuine leather strap in a light tan colour. It’s powered by a reliable quartz movement and features a 50m water resistance rating. In at number 4 we have this very popular titanium Skagen watch that stands out on your wrist with its vivid blue dial and large chromed numerals. The dial has both a 12 and 24 hours display with the latter making up the inner circle with the smaller markings. Again we have a date display positioned at the 6 o’clock point on the dial. Both the hour and minute hand on this model feature lume for better visibility at night. The titanium casing of this watch makes it lighter and stronger than other stainless steel alternatives. This has been paired brilliantly with a stainless steel mesh strap that I personally find to be comfortable and easy to adjust. A mineral crystal glass lens has been used to protect the front of the timepiece, this offers a good level of resistance to both scratches and shattering. A quartz movement is used for accurate and reliable timekeeping. The watch also has a basic 30m water resistance rating. 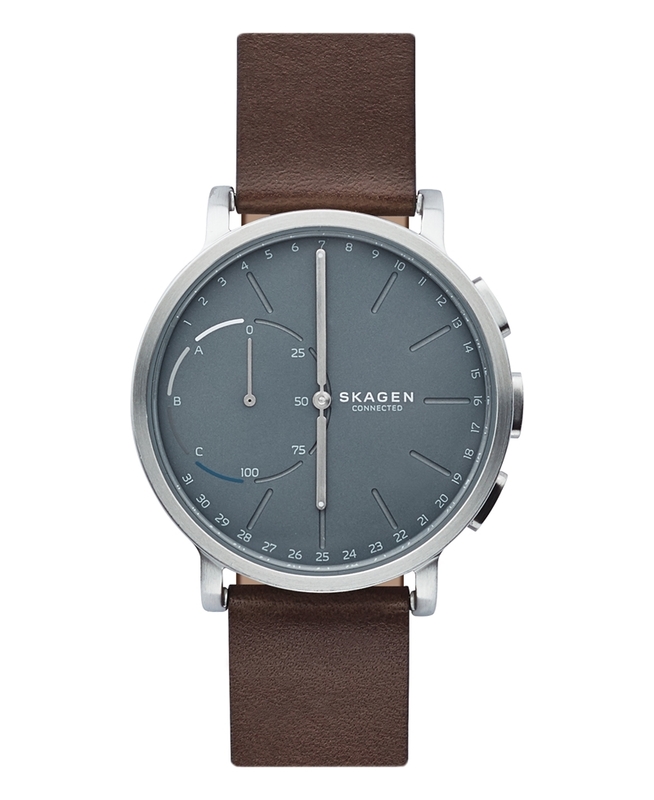 Last up for our list of the best Skagen watches for men, is something a little different. A unisex Skagen hybrid smartwatch. This Skagen Connected smartwatch is built with a round stainless steel casing that has a diameter of 42mm with a thickness 11mm. This has been paired with a dark genuine leather strap that fastens with a buckle style clasp. The blue coloured dial featured engraved indexes at all hours except at 8, 9 and 10 o’clock. It uses a 2 hand movement with the sub-eye showing you notifications for activity progress, messages, and an alarm mode. This can be operated using the 3 buttons on the side of the smartwatch. For more details on the features of this Skagen timepiece be sure to check out the product details page that’s linked to above. 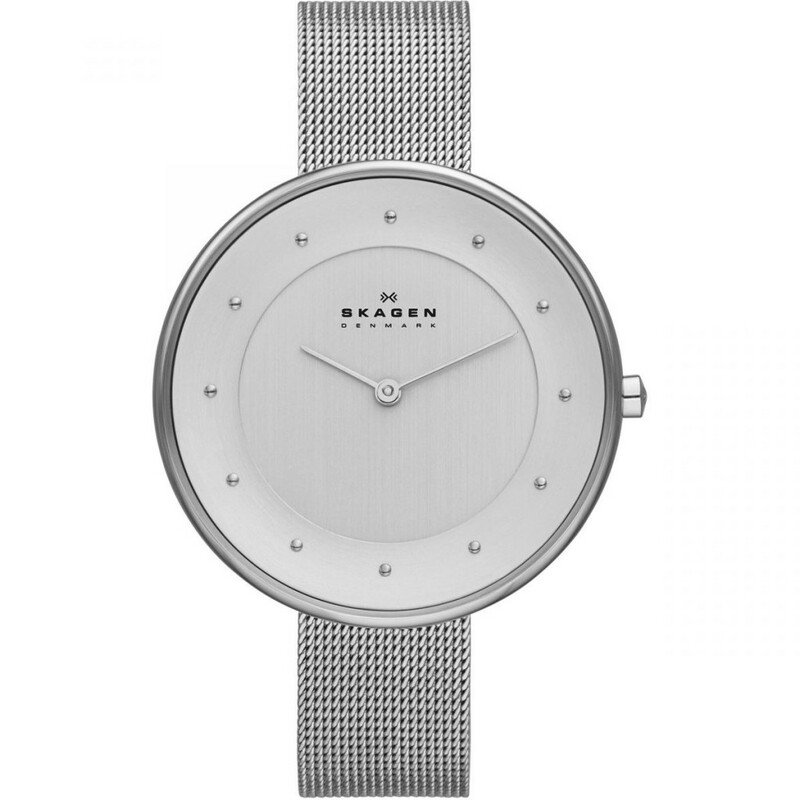 Here at 5 of the most popular Skagen watches for women currently available. 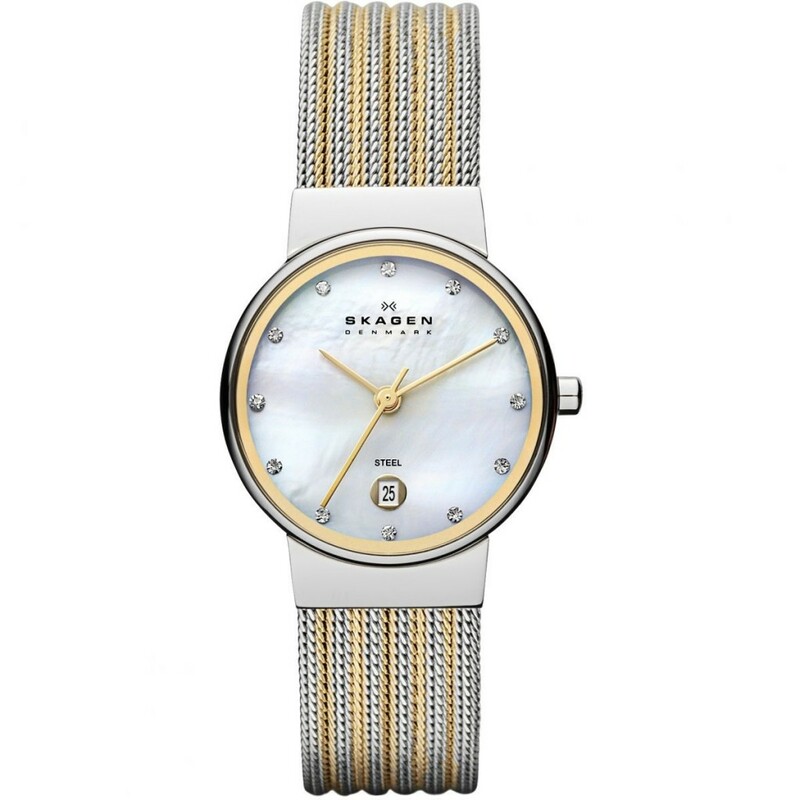 The first of our most recommended ladies Skagen watches is the 358SGSCD with silver coloured stainless steel mesh strap and gold coloured stainless steel casing. This model has a diameter of just 26mm with a thickness of 6mm. This elegant dainty timepiece features 12 cubic zirconia stones on the dial as hour markers, with a gold-tone hour and minute hands that stand out against the background of the timepiece. Protecting the front of this women’s watch is a mineral crystal glass lens, this offers resistance against scratches and shattering. A quartz movement that’s powered by a battery provides accurate and reliable timekeeping. It also comes with a basic 30m water resistance rating. The second women’s Skagen watch I wanted to showcase is the Skagen 355SSGS. This watch features a stunning Mother of Pearl dial with clear crystals as indexes and a beautiful gold coloured inner bezel. There’s also a useful date display found at the 6 o’clock position on the dial. The polished stainless steel 26mm casing has a 7mm thickness and is built with a water resistance rating of 30m. This has been paired up with a two-tone mesh style strap that provides comfort and is easy to adjust. At the heart of the timepiece is a quartz movement for accurate, reliable timekeeping. 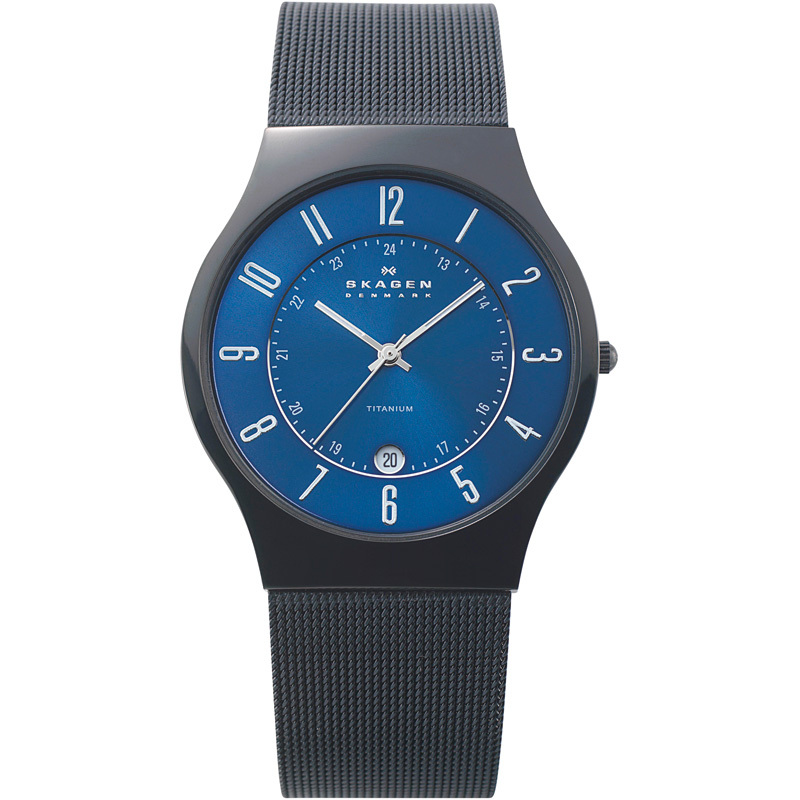 In at number 3 for our Skagen watches review we have this awesome oversized timepiece. Oversized watches became more and more popular recently with many opting for larger watches over the traditional smaller ones. The casing for this ladies Skagen Denmark watch is made of stainless steel and has a diameter of 38mm with a thickness of 6mm. I love the use of the raised chromed dots as indexes, it works well with the subtle dial design that also comes with chromed hour and minute hands. There’s no seconds hand, quite a common choice in minimalistic timepieces at the moment. 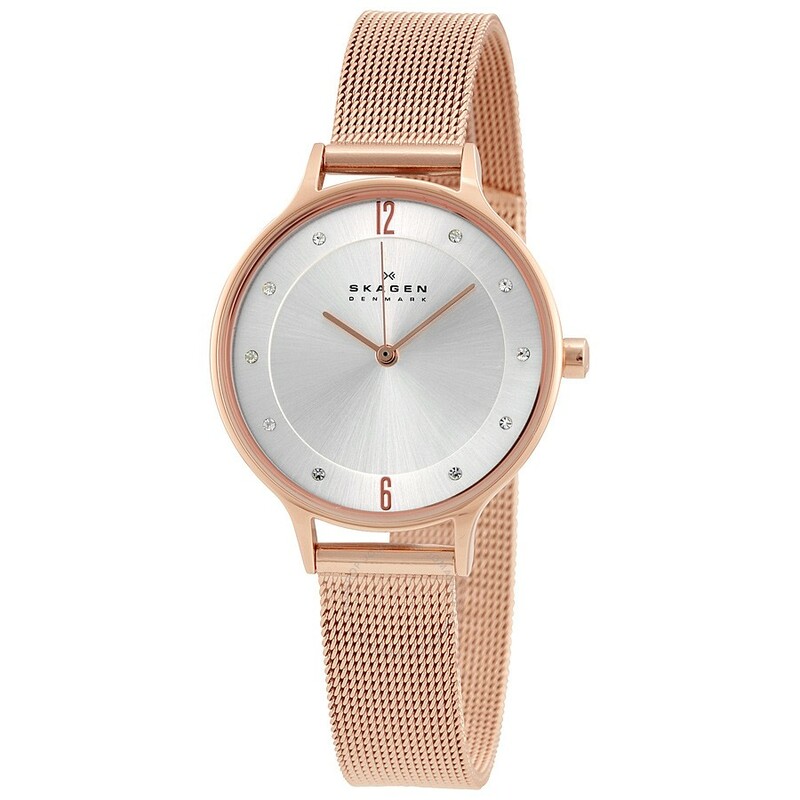 This next popular women’s Skagen watch is built with a rose gold-tone stainless steel casing and mesh style strap. The casing measures 30mm with a thickness of 7mm. The dial for this model again comes with clear crystals for indexes with a rose gold coloured Arabic number being used for the 6 and 12 o’clock markers. Protecting the face of the watch is a mineral crystal glass lens. A reliable and accurate Japanese quartz movement has been used to power the watch. And the water resistance rating for this model is 30m. 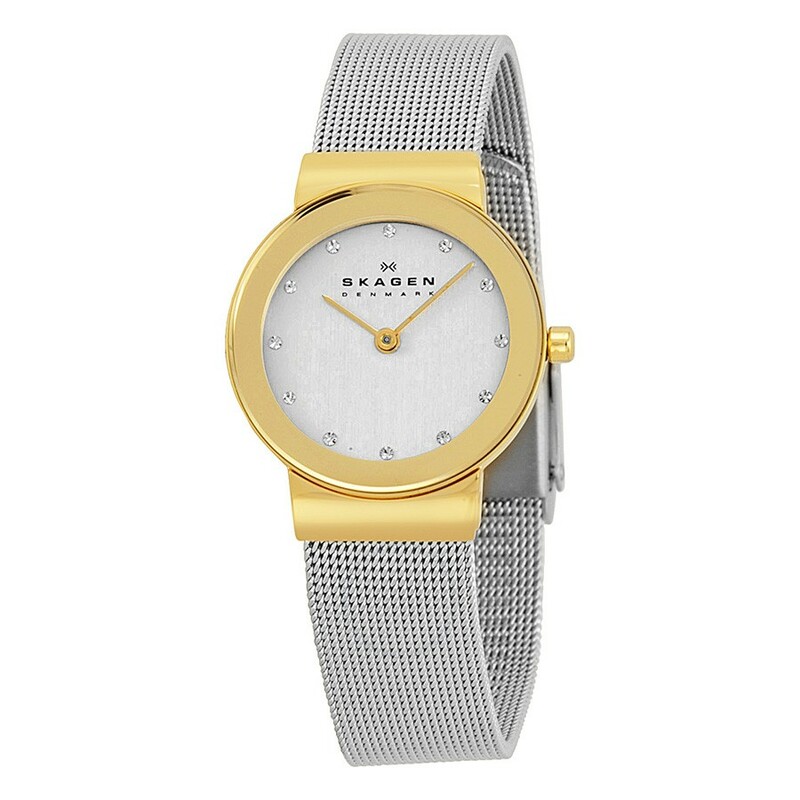 Last up in today’s list of the best Skagen watches for women is the SKW2674. I like that this model is a little different and opts for classic Roman numeral hour markers. The stainless steel casing for this timepiece has a diameter of 34mm with a 7mm thickness. This simple display is protected by a mineral crystal glass lens. Thanks for taking the time to read through today’s Skagen watches review. What was your favourite timepiece picked out from our list of the most popular Skagen watches currently available? Comment below and let us know.